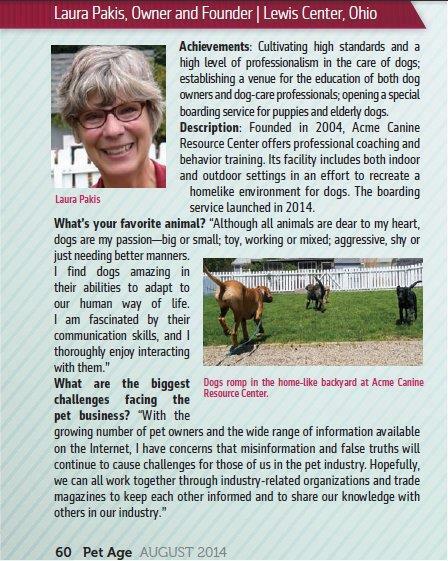 Wish to Directly Support Acme Canine? Become a Patron! Why doesn’t my dog seem interested in their toys? Keeping your dog occupied and happy can be a challenge, especially if your dog is energetic or still in their puppy stage. Keeping your dog occupied and happy can be a challenge, especially if your dog is energetic or still in their puppy stage. 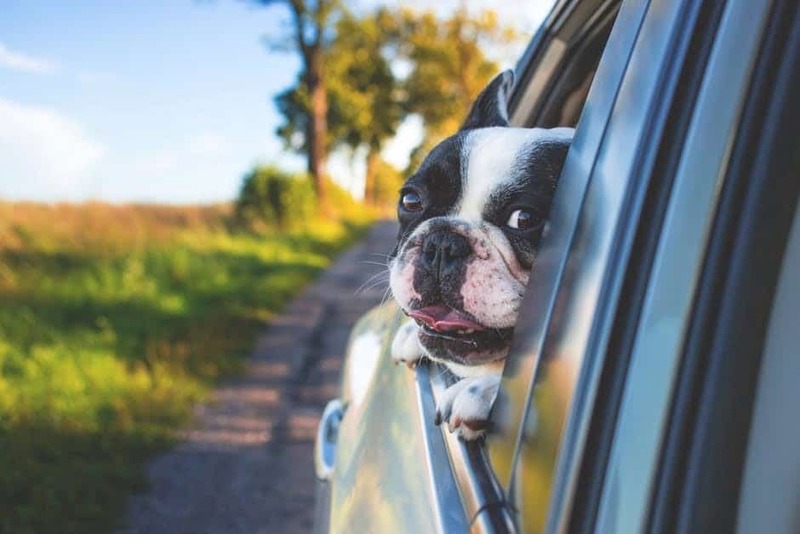 Thankfully, there are many fun and stimulating activities you can do with your dog that will keep them excited, content, and fit. Here are some ideas to help kick start your next adventure. It may seem like a daunting task, but most dogs can be easily trained to keep their attention on you and not the outside world. This sort of training can also help make the following options more enjoyable for the both of you. 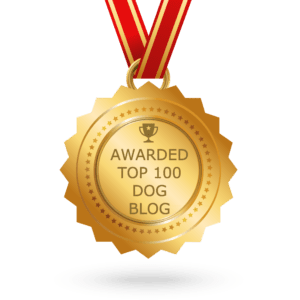 Positive reinforcement training is a fantastic way to help your dogs, and you, have a great experience outdoors. When a dog gets distracted they often do not hear you calling them or they do not feel you pulling on their leash. Try walking your dog around the neighborhood, or just start in the backyard. Each time a distraction takes their attention away, call their name, raise a treat to your eyes, and if they watch you instead give them the treat. If they continually pay attention to the other distraction, try walking away with them until they look up at you. With practice, they’ll learn that you are the most important thing in the wide world, and it is critical to keep their attention on you. Many locations, even major cities, offer hiking spots nearby. Your dog, just like any living creature, needs to stay fit and healthy. The amount of exercise your dog needs depends on their breed and temperament. Do some research on their breed to find out a good average time needed to exercise, and if your dog is a mutt try to figure out some of the dominant breed types in their chemical make-up as a good starting point. The next step is to find a cool trail to hike! 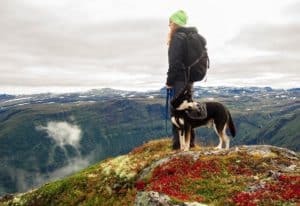 Depending on leash laws, you may be able to take your dog off-leash to hike, but it’s highly recommended that you keep them on a leash to keep them safe. The outdoors, away from their neighborhoods, offer plenty of distractions, new smells, and animals to investigate. Keeping your dogs safe is your top priority. Be sure to bring poop bags, some extra water, and a snack for you and your pooch! Our dogs love to chase balls, socks, squirrels, you name it! There are quite a few organizations that will set up lure coursing events for your dogs at a nominal fee. They will help you coax your dog into chasing a lure set up on a line in a field. The idea is for the dog to chase the lure as fast as they can. Don’t think that your tiny chihuahua won’t care about the lure or chase it, even small dogs often like to chase moving things, especially after they watch their newfound friends do it! Lure coursing kits can be a bit expensive for at-home use, but they are available for purchase if your dog likes the activity. There are Pinterest boards, as well, on how to make your own if you’re crafty. Remember, your dogs need a lot of exercise to stay healthy and happy, so if there’s a lure coursing event happening by you this weekend, give it a go. A fun summer idea to keep your dog excited and fit is dock diving. Like the lure coursing, there are many organizations that set up dock diving days for you and your dog. When you sign up for a “try it” session, your pup will get up on a specifically designed dock, either over actual water or over a pool, and be coaxed to jump in after their favorite toy. If they are too nervous the first few times, which is usually the case, there is oftentimes a ramp where they can walk down into the water to fetch their toy. Again, this is for any size dog, and a great way to keep joints strong and flexible as dogs age. Swimming is a low impact exercise, so even if your dog isn’t too crazy about launching themselves off of a dock, at least they can have a blast paddling after their toys. 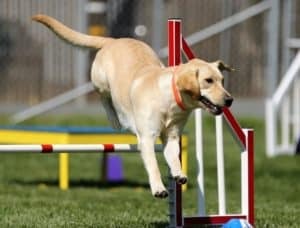 Agility courses used to be only for herding breeds, and rarely would you see anything that resembled an agility course except for on TV or for police dogs in training yards. Now, however, there is a whole line of at-home agility kits you can buy or make (thanks Pinterest) that will keep your dog intellectually engaged and occupied for hours. From A-Frames to Tunnels, any size dog or age range can be taught how to navigate simple to complex tasks at your command. Your local pet store probably carries a few options, but there are also online options if you can’t find what you’re looking for locally. Try to use favorite toys instead of treats as reinforcement to keep the idea of play in mind. Also, you don’t want too many treats in their stomachs if they are exerting themselves. Going back to number one, distractions are the leading causes of dogs getting into trouble. They see, smell, or hear something interesting and they run off to investigate. If your dog slips their lead or their collar, or maybe runs out an unattended door, you will want to be sure to get your dog back and quickly. Training of any kind is fun and stimulating for dogs, and this is one of those tasks that can help save a life in the process. 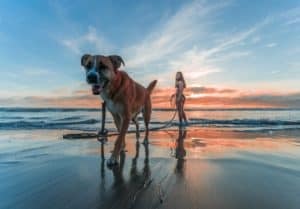 Purchase a long training leash for your dog and use the same tactics described in the first option of this article to train your dog to pay attention to you. Then work on their return journey back to you on command by calling them. The long leash is simply there for insurance so that you can catch your dog easier. Dogs love the outdoors! There are new smells to find and new sights to see. 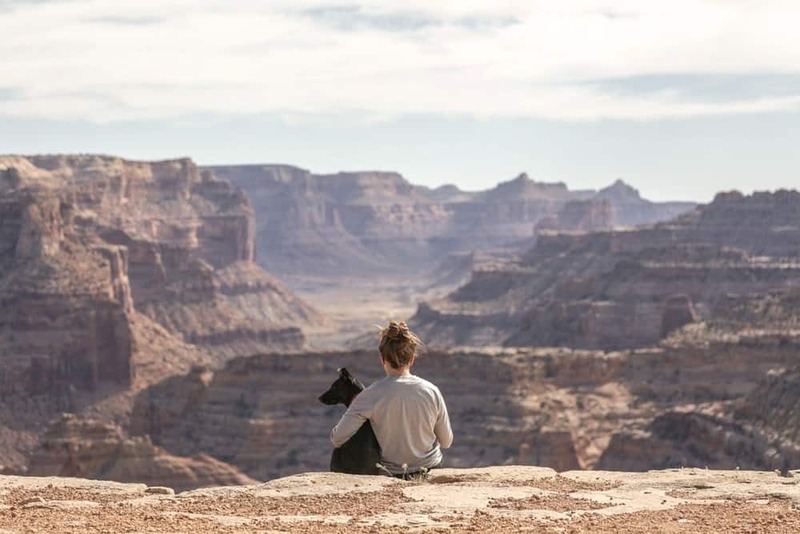 Many campsites are dog friendly and cheap for any income bracket. You may want to combine some hikes with an overnight camping adventure after a mini road trip. Bring along extra water, food, and poop bags for your pups, along with a sturdy tie-out for the campsite that is adjustable. Always bring your dogs into the tent or camper with you at night so you can monitor them. If you don’t mind a dirty car or a very sandy puppy, beaches can be a lot of fun for canines. Salt water and waves offer a whole new adventure that can’t be replicated at lakes. Make sure that dogs are allowed on the beaches beforehand and you bring plenty of poop bags, water, and treats. Maybe you’re not too crazy about being in the ocean? A good idea is to bring a long training leash so they can play in the surf without you. Always a good option is bringing your dog to an enclosed dog park. Some are even located on beaches or in wildlife preserves! There they can meet up with other local pooches and get a good run in to blow some excess energy. It’s a good idea, as always, to bring poop bags and water. Bringing treats, however, may be like bringing pizza to a school where only a few kids can eat it. All of a sudden you’ll have 54 dogs looking for a slice! Monitor dog behavior constantly at these parks. If you have a large or northern breed dog, you might want to consider training them on how to pull a wagon or sled. Start with pulling just a wagon or sled behind you as you walk your dog so they get used to the sound and the idea of something rattling behind them constantly. Attach leads to the wagon or sled and have them attempt to pull it, slowly at first. If your dog likes it, you can find specialized wagons and sleds with harnesses online where your dog can, eventually, even pull people or heavy loads! Work your dog up with gradual weight increments and never allow a puppy to pull heavy loads as they can pull muscles easily. All dogs deserve to lead a safe, happy, healthy, and exciting life, and there are so many options out there to help facilitate that. What’s more is that you, also, get the benefit of exploring the world around you, meeting new people and pups, along with the joy of watching your dog feel accomplished and proud. 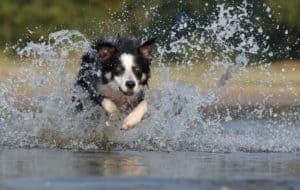 Give some, or all, of these options a try one day and watch just how capable your beloved dog can be. 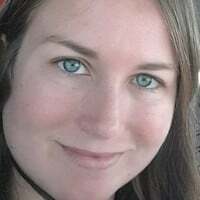 Writer’s Bio: Coral Drake has been an avid dog lover since she was a young girl, and now is the proud dog-mom of two wonderful mutts. She is always trying to find new and exciting things to do with her pets. She enjoys travel, lives in New York, and never stops looking for her next journey. Did you enjoy this post? Only $2.00/month to support Acme Canine, become a Patron! This entry was posted in Dog exercise. Bookmark the permalink.